Arts based community development project for the 3rd Festival of the Contemporary resistance 2013, promoted by the Italian Culture Division of the Autonomous province of Bolzano/Bozen. Photography by Giovanni Melillo Kostner and from the historic archive of the photographer Aligi Cainelli. The intercultural art project for museums and their communities “Open City Museum” presents the arts based community development project entitled ”Common portraits of diversity” (‘Ritratti comuni della diversità’). It has been originally conceived for the 3rd Festival of the Contemporary resistance (Festival delle Resistenze contemporanee 2013) promoted by the Youth Office of the Italian Culture Division of the province of Bolzano/Bozen and accomplished in collaboration with the Civic Centre of the quartier of Oltrisarco-Aslago/Oberau-Haslach, a local cultural association for older people “Club La Ruga” and the Photographic club of Bolzano. The project involves citizens who have lived in the Oltrisarco-Aslago/Oberau-Haslach area for the last 50 years and people who arrived to live or work there in more recent years, who came from other countries. People always have something in common with each other, no matter their origin, language or religion. Common values and moral principles can be found in different societies and cultures and they should be valued and promoted. The aim of the project is to make people interact, introducing them to new individuals that they might otherwise not get to know. 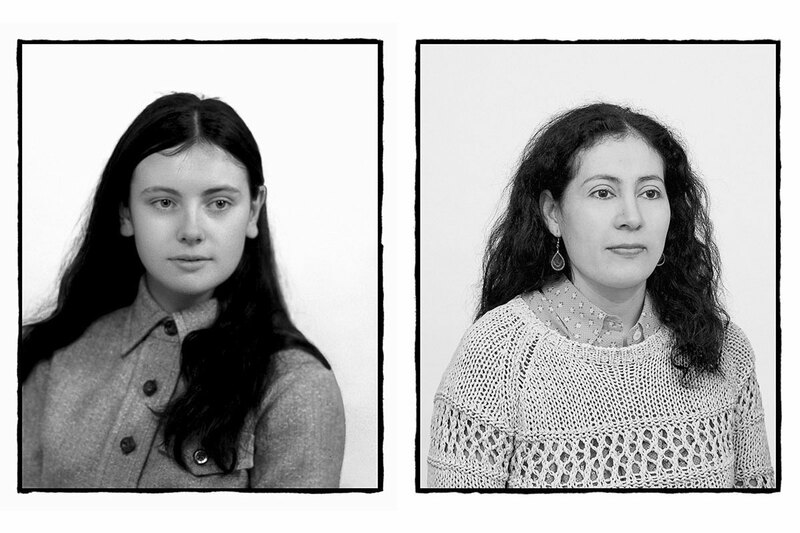 The starting point of the project ”Common portraits of diversity” are a number of pictures from the archive of the photographer of the quartier, Aligi Cainelli, taken in the 1960s and 1970s. The photographer Giovanni Melillo Kostner and the cultural anthropologist Martha Jiménez Rosano met some of the people Cainelli photographed and invited them to tell them how the life in the quartier was back then. Then they contrasted their impressions with those of the new residents who told them how it is like to live there now. Giovanni shot their portraits, inspired by the Cainelli’s style of portraiture. The project concluded with an open air photo exhibition with both Cainelli’s portraits and those by Giovanni on a road in the quartier. The photo exhibition becomes a platform for the dialogue between cultures and generations and creates a connection between the town centre and the quartier perceived as periphery, in a process of mutual knowledge, self-discovery and the discovering of otherness. Furthermore, it took place a public conversation with some of the residents involved in the heart of the city of Bolzano/Bozen. A free magazine with all the life stories and portraits has been distributed to the public during the festival. It could also be found in the Civic Center of the quartier and in bars, restaurants, tobacco shops and other commercial activities in the local area, which were involved in the project.